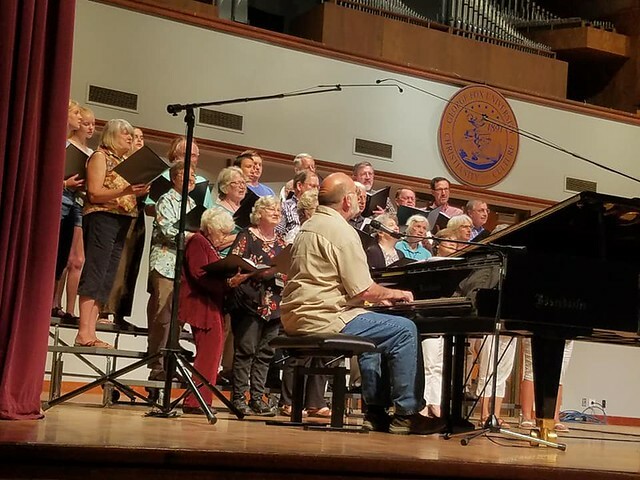 This past week, across town, the annual sessions for Northwest Yearly Meeting of Friends were held. Mauri was asked to gather a choir to lead worship in the final service on Wednesday night. 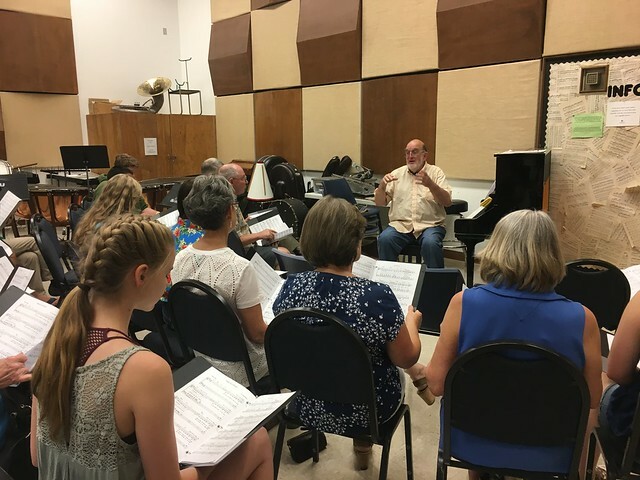 I sat and watched in awe of his giftedness to help a group of singers read new scores in two half-hour rehearsals and feel ready to lead others — with joy! I was glad to discover that waiting a few days to post this I can also include a link for you to watch and listen. It starts with Mauri sitting on an empty platform playing a ten-minute prelude on one of two of George Fox University’s Bosendorfer pianos. At 13:45 (on the progress bar) Mauri talks from the piano and leads several songs. Drag the yellow dot to that spot and sing along with us! I’ll listen when I’m at the coffee shop and have decent internet. For now: on the rare occasions I see the name Bosendorfer I think of Victor Borge, who would only perform if supplied with a Bosendorfer piano. And Mauri had two to choose from!